The game of cricket is witnessing several advancements with the advent of technology. Earlier, all the decisions were in the hands of the on-field umpires. Gradually, the tasks at hand were shifted to the third-umpire and resulted in the decision-making becoming more accurate. With the introduction of the Decision Review System (DRS), more and more verdicts are now ending up on the correct side. The latest growth in cricket is the introduction of the front foot no-balls being called by the third umpire. 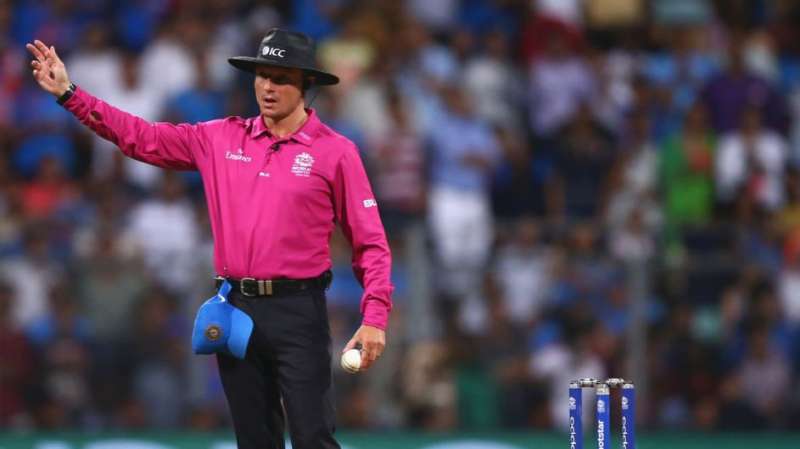 In the recently concluded England-Pakistan ODI series, the experiment was under trial as the on-field umpire would wear a pager-watch that would vibrate whenever the third umpire calls a no-ball. The footages of side-on cameras that are used to judge a run-out were provided to the umpire upstairs along with slow motion and rewind forward feature. 1. Reduced workload from the on-field umpires: Being an on-field official is a lot harder than it seems. An umpire has to take care of plenty of things like field positioning, the condition of the ball, decisions for dismissals, keeping peace on the ground etc. Calling a front foot no-ball is a very vital part of the game and if called wrong, can prove to be a turning point in the game. This is not something that needs to be addressed after certain intervals of time, but constant attention is required every time the bowler delivers the ball. Now, if such a vital responsibility is lifted off his shoulders, he can improve on the other aspects of decision-making which in turn will be advantageous for the game. 2. Increased accuracy of the no-ball calls: We have seen on plenty of occasions that due to only a fraction of a second available to judge, the on-field umpire often falters in the no-ball calls. There could be a batsman batting on 99 and he gets out off a no-ball which the umpire failed to call or a batsman early in his innings gets a reprieve due to incorrect calling off a no-ball which can change the course of the match. Such mishaps would be eliminated if the TV umpire calls the no-balls and the match results won’t be hampered due to human errors which are bound to happen every now and then. 3.Increased accuracy of LBW/Caught-behind calls: An umpire has to first keep an eye on the front foot of the bowler to judge the no-ball and then immediately switch his view to analyse the line and pitch of the ball whether it pitches within the line of the stumps or outside. Then if the ball strikes the pad, he has to identify whether the impact is in line or not and if there was an inside edge. All this happens within a blink of an eye which proves that the umpire has plenty to do and is bound to commit a few mistakes. Now, if he is no more responsible for front foot calls, he gets to concentrate on the line of the ball and subsequently inside and outside edges of the bat. And therefore, there will be more accuracy in the LBWs and caught-behind decisions. 1.Miscommunication due to time lag: Today, the batsman gets a signal as soon as the umpire raises his hand to call a no-ball and he gets ample time to decide the faith of the next ball. Especially in ODIs and T20, the ball that follows a no-ball is a free-hit and the batsman can determine whether he or his partner needs to face it by going for a single or a couple as the more free-flowing batsman is more likely to take advantage of a free-hit. If the third–umpire takes his time in sending the signal to the on-field umpire, such luxury won’t be available for the batsmen. On other occasions, if the batsman is given out and he starts walking towards the pavilion and later if the no-ball signal is received, the fielding side might attempt to run him out. Such an incident would be deemed against the spirit of the game and proper rule amendments need to be introduced to handle this type of the situation. 2.Requirement of fool-proof technology: There is a dark side of the technology as well that it might not function properly at times. As it has happened on occasions with hotspot or snicko-meter technologies that they have shown incorrect results which consequently turned into controversies and counter-attacks from the cricketing fraternity. As long as the doubt remains on technology, there will always be people against the use of it. There needs to be an alternate in case the cameras don’t capture the required footages to make sure precious calls are not missed.